Trip highlights: Traveling by train in China is more popular for Chinese. As more and more new express trains are available now, many foreigners like taking overnight train Beijing/Xian, Xian/Shanghai. 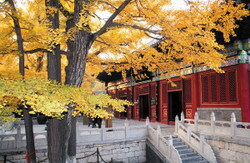 We provice this short train trip for people who like closer tourch to Chinese culture and people.